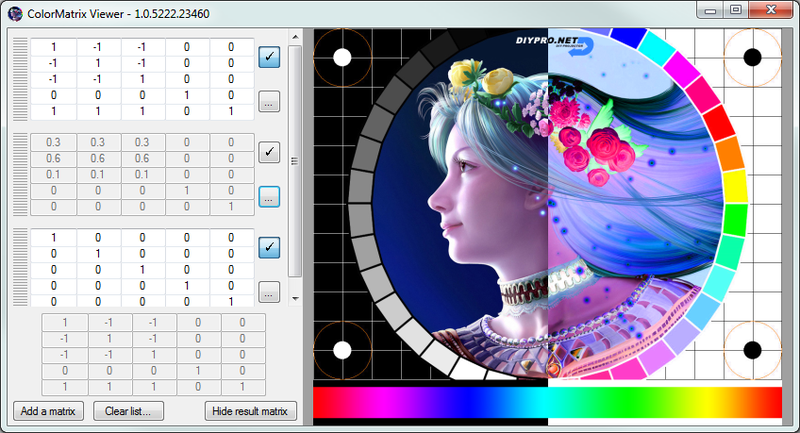 A program to easily create and edit color matrices. For a long time, creating custom color transformations to use with NegativeScreen was only possible for advanced users. With this utility, I hope more people will be able to create their own. Just play with the tool, and see what happens!